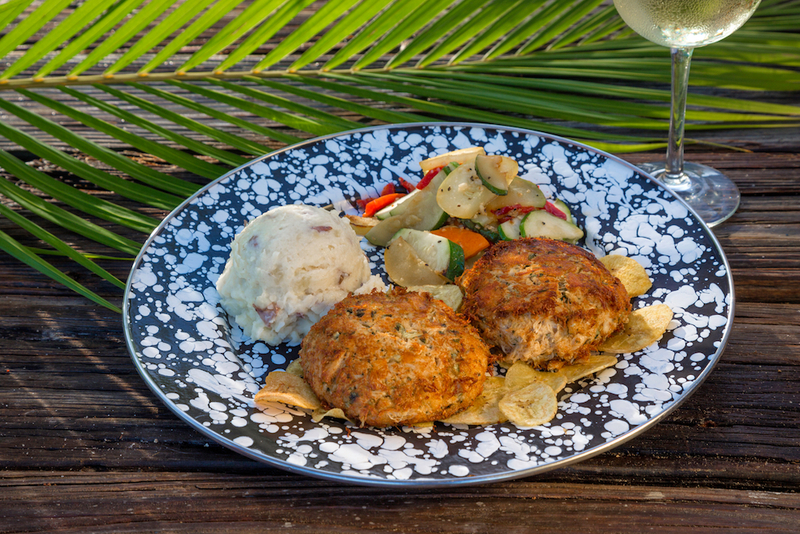 The Stoned Crab restaurant offers Key West’s freshest seafood and specializes in our most famous and most delectable local seafood — stone crab! 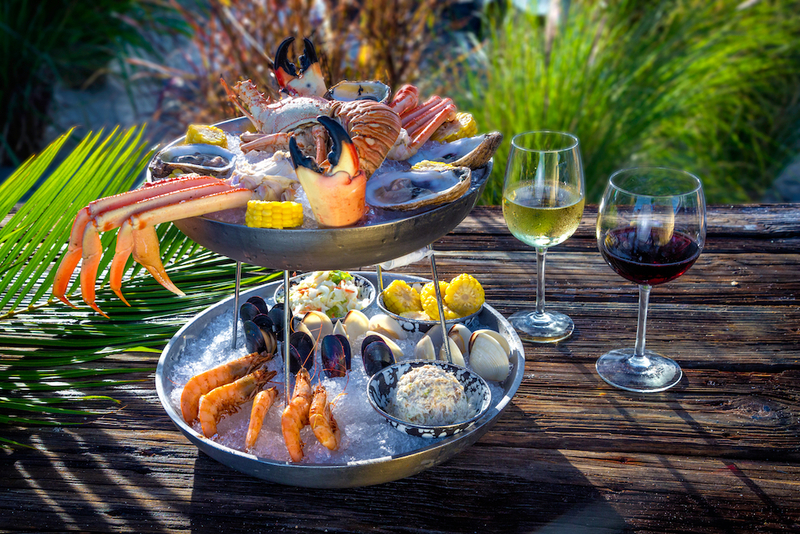 Located adjacent to Ibis Bay Beach Resort, the restaurant has two private fishing boats that deliver daily catches of stone crab, lobster, Key West shrimp and a variety of local fish. With a full bar, experienced staff and a friendly open air atmosphere, The Stoned Crab is the perfect place for a relaxing meal or local cocktail. 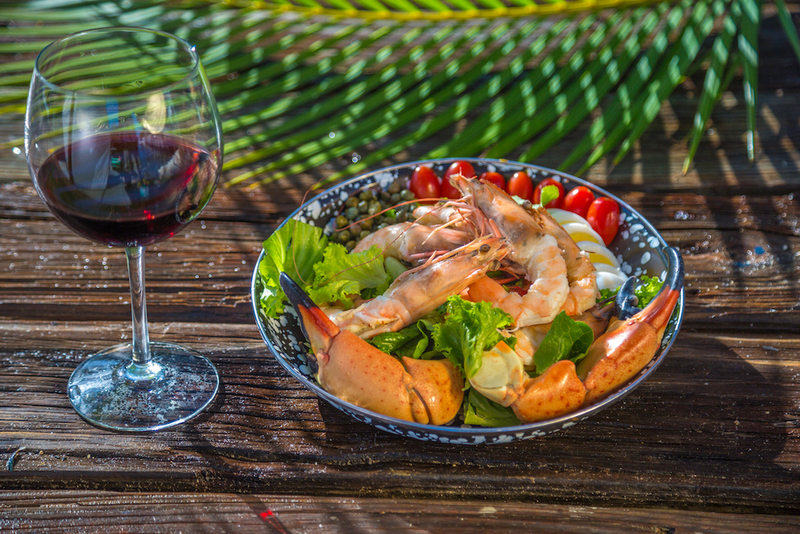 The Hurricane Irma-Inspired "Stoned Lobster"
“The Stoned Lobster” creatively blends three of the Florida Keys’ most iconic seafood species – stone crab, spiny lobster, and Key West pink shrimp – into one mouthwatering, eye-catching dish. "The Stoned Lobster" is a culinary creation incorporating all three species of fish found in the lobster traps immediately post-Hurricane Irma. The unique dish features two massive stone crab claws placed at the front-end of a whole spiny lobster, finished off with a blend of shrimp stuffing and gravy packed into the lobster tail. In an effort to reuse materials from the storm, the dish is served on the wooden boards of lobster traps that were destroyed in the hurricane. All seafood used in The Stoned Lobster is sourced locally and caught and filleted by Three Hands Fish – a Florida Keys sustainable seafood initiative that directly connects commercial fishermen and their catch with community members and restaurant chefs. EXCLUSIVELY FEATURING ORGANIC OR SUSTAINABLE WINES AND SPIRITS, HAND-CRAFTED ECO-COCKTAILS AND CRAFT-BREWED BEERS. ECO-US Eco Bar features only organic or sustainable wines and spirits, hand-crafted, eco-cocktails and craft-brewed beers. They showcase the very best producers who are committed to environmentally respectful farming and production methods. ECO-YOU If you’ve ever been fruit picking at a local organic farm or smelled a freshly cut sprig of rosemary you already know the intoxicating power of fresh-picked eco-produce. Utilizing organic or sustainable ingredients protects the earth and ultimately you from the damaging effects of artificial ingredients. Nobody is going to proclaim cocktails health drinks any time soon, but using honest-to-goodness ingredients is a whole lot better (and more delicious) than high-fructose flavored liquors and mixes. ECO-PERFECT PAIRING Just as the right combination of sustainable seafood and farm-fresh ingredients complement each other in our award–winning dishes, a cocktail or wine that’s perfectly paired with each dish celebrates and elevates both the dish and the drink. It’s a little bit of concocter’s magic. You will appreciate it with the very first sip … and bite. Visit us daily, between 10:00AM and 11:00PM, at 3101 N. Roosevelt Blvd, Key West, FL 33040. Have a question? 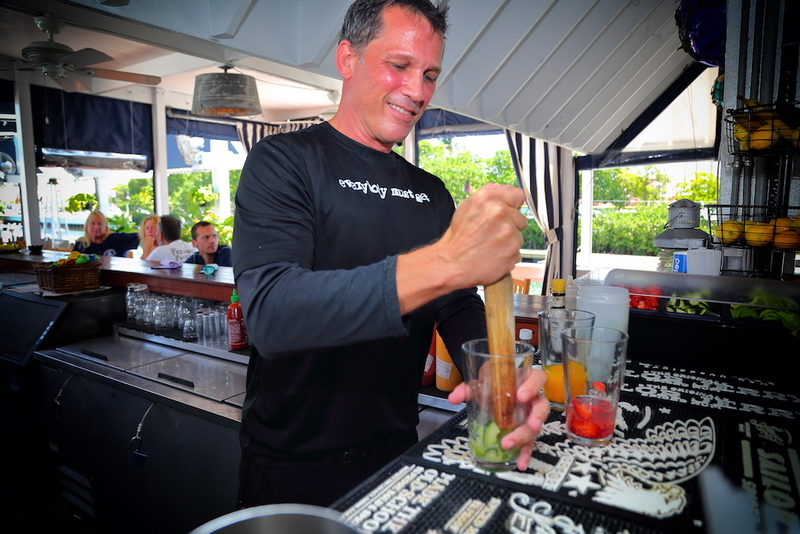 Give us a call at 305-433-9431 or email us at info@stonedcrabkeywest.com. We look forward to seeing you soon!